Back country politician Amos is the classic big fish in a small pond, a man of immense ambitions whose smooth and polished exterior covers a ruthless lust for increased power and money, both of which come via his involvement in the trade of veve (also known as khat), a relatively mild narcotic. Amos controls the veve supply in his region, the local farmers all answering to him and his underlyings, but his eyes are on a bigger prize - one that will put him into direct conflict with the big city crime boss who Amos delivers his crops to. Also freshly in town is Kenzo, a young man with a dark past and a serious grudge against the local politician. Throw in subplots involving the veve farmers wanting to unionize (is there a recognized local for growing narcotics? ), a random white kid who exists for no reason whatsoever other than to have the entire drug production chain described to him as he films the farmers at work (this is not an exaggeration, it's literally the only thing he ever brings to the story), Amos' principal henchman coping with his drug addicted child, Kenzo's former prison cellmate henchman and their poorly devised and needlessly over complicated plan to strike at Amos, future election plans and infidelity all around and, well, you get the picture ... Veve bites off an awful lot and doesn't even begin to chew most of it at all. The issues with Veve are plentiful but most seem to have their roots in the urge to make the film's starting point a summary of the khat trade rather than simply telling a compelling story within that backdrop, an issue most obviously embodied by Random White Kid but the Issue Movie markers pop up far more broadly than just that. 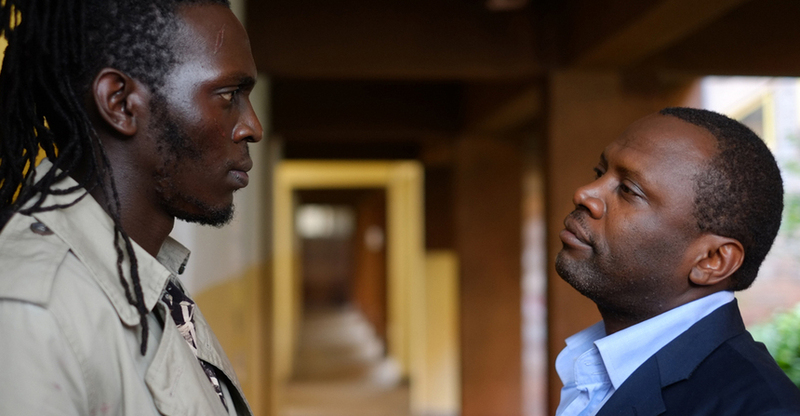 By refusing to narrow the scope director Simon Mukali is left to juggle far too many balls, the immediate result being that he's never able to spend proper time or attention on any of them and none are given the sort of space or detail to develop the emotional resonance they need. Performances are flat from top to bottom, though with some of the dialogue the characters are frequently fed it's hard to put the blame entirely on the actors. Were Veve a purely Kenyan production could at least focus on the quality of the film's technical aspects - which are top notch - but with an experienced hand such as Tykwer involved here it's frankly baffling that a script this obviously under developed was ever allowed to go to camera. Veve may very well play strongly to local audiences who may be charmed purely by the novelty of seeing this sort of tale told in the local idiom but for audiences elsewhere with broad knowledge of the crime genre and no vested rooting interest? Not a chance. Show your best concern for your dear brother on this auspicious Raksha Bandhan with amazing gifts available at any online supermarkets. Just go through this online website and Send Online Rakhi to Canada at low cost and share your moments of joy.